Secure access to your site. Prevent fraud and block unwanted visitors. Don’t you just hate it when visitors with ill-intention access your site? Or worse, have you ever had the same customer placed an order to your site just to file for a chargeback later on? 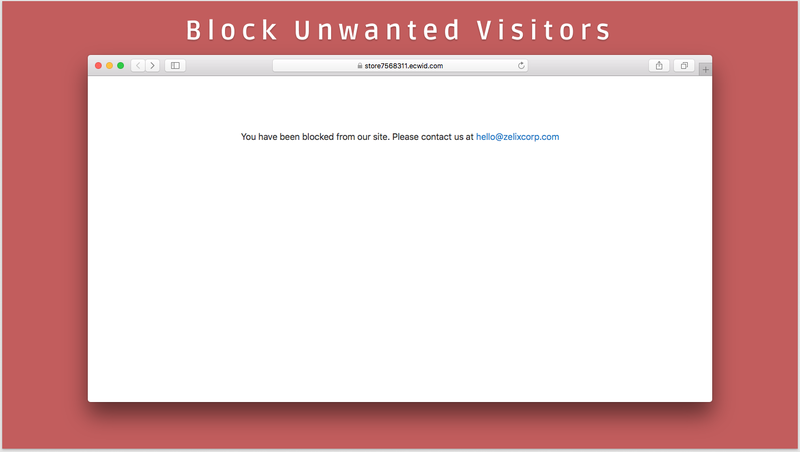 Imagine how much easier it would be for you if you could block those problematic customers from accessing your site. Well, with Secure Traffic, you can. 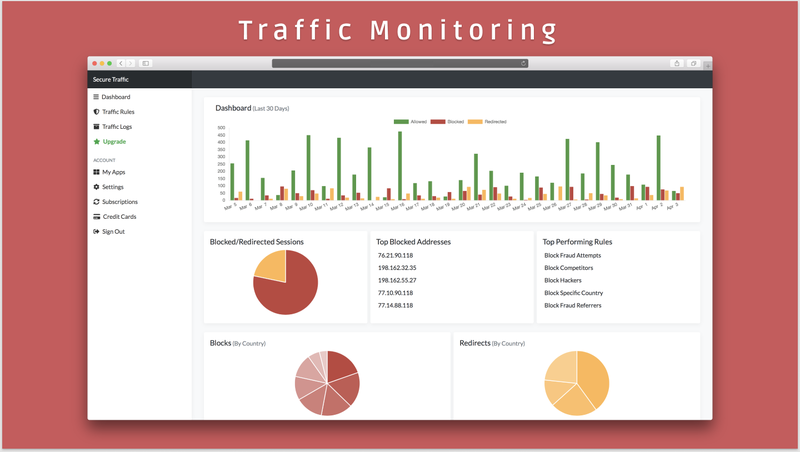 Secure Traffic is an app that enables you to monitor and control access to your site. 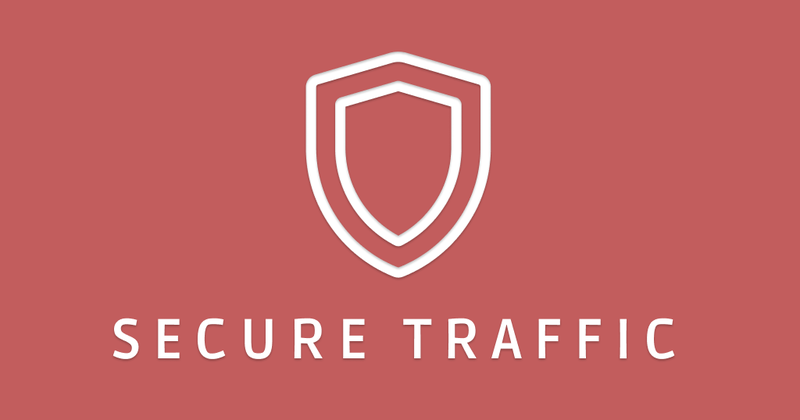 We track information like IP address, country and referrer of your site’s visitors. 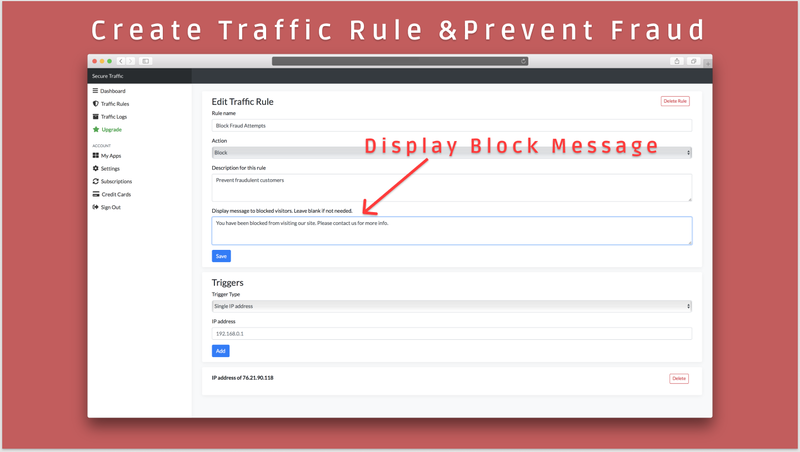 You can also create traffic rules to block or redirect visitors based on any of those attributes.